My research is focused on the interactions and feedbacks between the cryosphere and the climate system. This work is motivated by societal need to understand the climate system, project sea level rise, and manage water resources. I employ methods of computer modeling, data analysis, and field instrumentation. My field research is conducted on the Greenland Ice Sheet, small glaciers in Alaska and Montana, and seasonal snow in Montana. My research is funded by the U.S. National Science Foundation, NASA, and the Swedish Nuclear Waste Management Company. Doyle, S. H. et al. (2015), Amplified melt and flow of the Greenland ice sheet driven by late-summer cyclonic rainfall, Nature Geos., 8(8), 647–653, doi:10.1038/ngeo2482. Harper, J. (2013), Cryosphere: Greenland’s lurking aquifer, Nature Geos., 7(2), 86–87, doi:10.1038/ngeo2061. Meierbachtol, T., J. Harper, and N. Humphrey (2013), Basal Drainage System Response to Increasing Surface Melt on the Greenland Ice Sheet, Science, 341(6147), 777–779, doi:10.1126/science.1235905. Harper, J. T., N. Humphrey, W. T. Pfeffer, J. Brown, and X. Fettweis (2012), Greenland ice-sheet contribution to sea-level rise buffered by meltwater storage in firn., Nature, 491(7423), 240–3, doi:10.1038/nature11566. Harper, J. T., J. H. Bradford, N. F. Humphrey, and T. W. Meierbachtol (2010), Vertical Extension of the Subglacial Drainage System Into Basal Crevasses, Nature, 467, 579–582, doi:10.1038/nature09398. Pfeffer, W. T., J. T. Harper, and S. O’Neel (2008), Kinematic constraints on glacier contributions to 21st-century sea-level rise, Science, 321 (5894), 1340–1343, doi: 0.1126/science.1159099. Harper, J. T., N. F. Humphrey, and W. T. Pfeffer (1998), Three-dimensional deformation measured in an Alaskan Glacier, Science, 281(5381), 1340–1342. Harper, J. T., Humphrey, N. F., Meierbachtol, T. W., Graly, J. A., & Fischer, U. H. (2017). Borehole Measurements Indicate Hard Bed Conditions, Kangerlussuaq Sector, Western Greenland Ice Sheet. Journal of Geophysical Research: Earth Surface, 1–14. doi.org/10.1002/2017JF004201. Hills, B. H., Harper, J. T., Humphrey, N. F., & Meierbachtol, T. W. (2017). Measured horizontal temperature gradients constrain heat transfer mechanisms in Greenland ice. Geophysical Research Letters. doi.org/10.1002/2017GL074917. Brown, J, Harper, J, Humphrey, N., (2017) Liquid water content in ice estimated through a full-depth ground radar profile and borehole measurements in western Greenland. The Cryosphere, 11, 1–11, doi:10.5194/tc-11-1-2017. Clark, A., Fagre, D., Peitzsch, E., Reardon, B., and Harper, J. (2017), Glaciological measurements and mass balances from Sperry Glacier, Montana, USA, years 2005–2015, Earth Syst. Sci. Data, 9, 47-61, doi:10.5194/essd-9-47-2017. Meierbachtol, T., J. Harper, and J. Johnson (2016), Force Balance along Isunnguata Sermia, West Greenland, Frontiers of Earth Science., 4, 1–9, doi:10.3389/feart.2016.00087. Wright, P. J., J. T. Harper, N. F. Humphrey, and T. W. Meierbachtol (2016), Measured basal water pressure variability of the western Greenland Ice Sheet: Implications for hydraulic potential, J. Geophys. Res., 121, 1–14, doi:10.1002/2016JF003819. Graly, J. A., N. F. Humphrey, and J. T. Harper (2016), Chemical depletion of sediment under the Greenland Ice Sheet, Earth Surf. Process. Landforms, 1–15, doi:10.1002/esp.3960. Harper, J, Hubbard, A, Ruskeeniemi, T, Claesson Liljedahl, L., Kontula, A, Hobbs, M, Brown, J, Dirkson, A, Dow, C, Doyle, S, Drake, H, Engström, J, Fitzpatrick, A, Follin, S, Frape, S. (2016), The Greenland Analogue Project: Data and Processes, Svensk Kärnbränslehantering AB., R-14-13, Stockholm Sweden, ISSN 1402-3091, 387p. Claesson Liljedahl, L., Kontula, A, Harper, J, J-o, Näslund, J-o, Selroos, Pitkänen, P, Puigdomenech, I, Hobbs, M, Follin, S, Hirschorn, S, Jansson, P, Kennell, L, Marcos, N, Ruskeeniemi, T, E-l, Tullborg, Vidstrand, P (2016), The Greenland Analogue Project, Svensk Kärnbränslehantering AB., R-14-13, Stockholm Sweden, ISSN 1404-0344, 142p. Meierbachtol, T.W., J. T. Harper, N. F. Humphrey, and P. Wright (2015), Mechanical Forcing on Water Pressure in a hydrologically isolated reach beneath Western Greenland’s ablation zone, Annals of Glaciology, 1–9, doi:10.1017/aog.2016.5. Cox, C., N. Humphrey, and J. Harper (2015), Quantifying meltwater refreezing along a transect of sites on the Greenland ice sheet, Cryosphere, 9, 691–701, doi:10.5194/tc-9-691-2015. Clark, A. M., Harper, J. T., and D.B. Fagre, (2015), Glacier-derived August runoff in northwest Montana. Arctic, Antarctic, and Alpine Research, Vol. 47, No. 1, 1–16. Harrington, J., Humphrey, N.F., and J. T. Harper, (2015), Temperature distribution and thermal anomalies along a flowline of the Greenland Ice Sheet, Annals of Glaciology, Vol. 56, No. 70, 70A945. Meierbachtol, T. W., Harper, J. T., Johnson, J. V., Humphrey, N. F., and D. J. Brinkerhoff, (2015), Thermal boundary conditions on Western Greenland: observational constraints and impacts on the modeled thermo-mechanical state. Journal of Geophysical Research Earth Surface, DOI: 10.1002/2014JF003375. Graly, J. A., N. F. Humphrey, C. M. Landowski, and J. T. Harper (2014), Chemical weathering under the Greenland Ice Sheet, Geology, 42(6), 551–554, doi:10.1130/G35370.1. Seligman, Z. M., J. T. Harper, and M. P. Maneta (2014), Changes to Snowpack Energy State from Spring Storm Events, Columbia River Headwaters, Montana, J. Hydrometeorol., 15(1), 159–170, doi:10.1175/JHM-D-12-078.1. Bradford, J. H., J. Nichols, J. T. Harper, and T. Meierbachtol (2013), Compressional and EM wave velocity anisotropy in a temperate glacier due to basal crevasses, and implications for water content estimation, Ann. Glaciol., 54(64), 168–178, doi:10.3189/2013AoG64A206. Rennermalm, a K. et al. (2013), Understanding Greenland ice sheet hydrology using an integrated multi-scale approach, Environ. Res. Lett., 8(1), 015017, doi:10.1088/1748-9326/8/1/015017. Silverman, N. L., M. P. Maneta, S.-H. Chen, and J. T. Harper (2013), Dynamically downscaled winter precipitation over complex terrain of the Central Rockies of Western Montana, USA, Water Resour. Res., 49(1), 458–470, doi:10.1029/2012WR012874. Brown, J., J. Bradford, J. Harper, W. T. Pfeffer, N. Humphrey, and E. Mosley-Thompson (2012), Georadar-derived estimates of firn density in the percolation zone, western Greenland ice sheet, J. Geophys. Res., 117(F1), F01011, doi:10.1029/2011JF002089. Humphrey, N. F., J. T. Harper, and W. T. Pfeffer (2012), Thermal tracking of meltwater retention in Greenland’s accumulation area, J. Geophys. Res., 117(F1), F01010, doi:10.1029/2011JF002083. Mikesell, T. D., K. van Wijk, M. M. Haney, J. H. Bradford, H. P. Marshall, and J. T. Harper (2012), Monitoring glacier surface seismicity in time and space using Rayleigh waves, J. Geophys. Res., 117(F2), F02020, doi:10.1029/2011JF002259. Brinkerhoff, D. J., T. W. Meierbachtol, J. V Johnson, and J. T. Harper (2011), Sensitivity of the frozen/melted basal boundary to perturbations of basal traction and geothermal heat flux: Isunnguata Sermia, western Greenland, Ann. Glaciol., 52(59), 43–50. Brown, J., J. Harper, W. T. Pfeffer, N. Humphrey, and J. Bradford (2011), High-resolution study of layering within the percolation and soaked facies of the Greenland ice sheet, Ann. Glaciol., 52(59), 35–42. Harper, J., N. Humphrey, W. T. Pfeffer, and J. Brown (2011), Firn Stratigraphy and Temperature to 10 m Depth in the Percolation Zone of Western Greenland, 2007–2009, INSTAAR, Occas. Pap., ISSN 0069-(60). Brown, J., J. Harper, and N. Humphrey (2010), Cirque Glacier Sensitivity to 21st Century Climate Change: Sperry Glacier, Montana, Glob. Planet. Change, 74(2), 91–98, doi:10.1016/j.gloplacha.2010.09.001. Gillan, B. J., J. T. Harper, and J. N. Moore (2010), Timing of present and future snowmelt from high elevations in northwest Montana, Water Resour. Res., 46, W01507, doi:doi:10.1029/2009WR007861. Bradford, J. H., J. T. Harper, and J. Brown (2009a), Complex dielectric permittivity measurements from ground-penetrating radar data to estimate snow liquid water content in the pendular regime, Water Resour. Res., 45, 1–12, doi: 10.1029/2008WR007341. Bradford, J. H., J. Nichols, M. T. D., and J. T. Harper (2009b), Continuous Profiles Of Electromagnetic Wave Velocity and Water Content in Glaciers, Ann. Glaciol., 50(51), 1–9. Brown, J., J. Harper, and J. Bradford (2009), A radar transparent layer in a temperate valley glacier: Bench Glacier, Alaska, Earth Surf. Process. Landforms, 34, 1497–1506, doi: 10.1002/esp.1835. Fudge, T. J., J. T. Harper, N. F. Humphrey, and W. T. Pfeffer (2009), Rapid Glacier Sliding, Reverse Ice Motion, and Subglacial Water Pressure During an Autumn Rainstorm, Ann. Glaciol., 50(51), 1–9. Fudge, T. J., N. F. Humphrey, J. T. Harper, and W. T. Pfeffer (2008), Diurnal Fluctuations in Borehole Water Levels: Configuration of the Drainage System Beneath Bench Glacier, Alaska, J. Glaciol., 54(185), 297–306, doi 10.3189/002214308784886072. Meierbachtol, T., J. T. Harper, N. F. Humphrey, J. Shaha, and J. Bradford (2008), Air compression as a mechanism for the underdamped slug test response in fractured glacier ice, J. Geophys. Res., 113(F04009), 1–14, doi: 10.1029/2007JF000908. Bleha, J. A., and J. T. Harper (2007), Snowmelt Water Generation in a Large Mountain Basin of Northwest Montana from a MODIS Driven Model, in Symposium on Environmental Sensing, vol. 1, edited by M. Gribb, pp. 83–86. 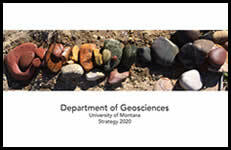 , Inland Northwest Research Alliance, Boise, ID. Harper, J. T., N. F. Humphrey, W. T. Pfeffer, and B. Lazar (2007), Two modes of Accelerated Glacier Sliding Related to Water, Geophys. Res. Lett., 34(12), L12503, doi: 10.1029/2007GL030233. Moore, J. N., J. T. Harper, and M. C. Greenwood (2007), Significance of trends toward earlier snowmelt runoff, Columbia and Missouri Basin headwaters, western United States, J. Geophys. Res., 34, L16402, doi:10.1029/2007GL031022, doi:10.1029/2007GL031022. Bradford, J. H., and J. T. Harper (2006), Measuring complex dielectric permittivity from GPR to estimate liquid water content in snow, Soc. Explor. Geophys. Tech. Progr., 25, 1352–1356, doi:10.1190/1.2369770. Bradford, J. H., and J. T. Harper (2005), Wavefield Migration as a Tool for Estimating Spatially Continuous Radar Velocity and Water Content in Glaciers, Geophys. Res. Lett., 32, L08502, doi:10.1029/2004GL021770. Fudge, T. J., J. T. Harper, N. F. Humphrey, W. T. Pfeffer, (2005), Timing and pattern of termination of diurnal water pressure fluctuations: Bench Glacier, Alaska, Ann. Glaciol., 40, 102–106. Harper, J. T., N. F. Humphrey, W. T. Pfeffer, T. Fudge, and S. O’Neel (2005), Evolution of subglacial water pressure along a glacier’s length, Ann. Glaciol., 40, 31–36. Harper, J. T., and J. H. Bradford (2003), Snow stratigraphy over a uniform depositional surface: spatial variability and measurement tools, Cold Reg. Sci. Technol., 37(3), 289–298. 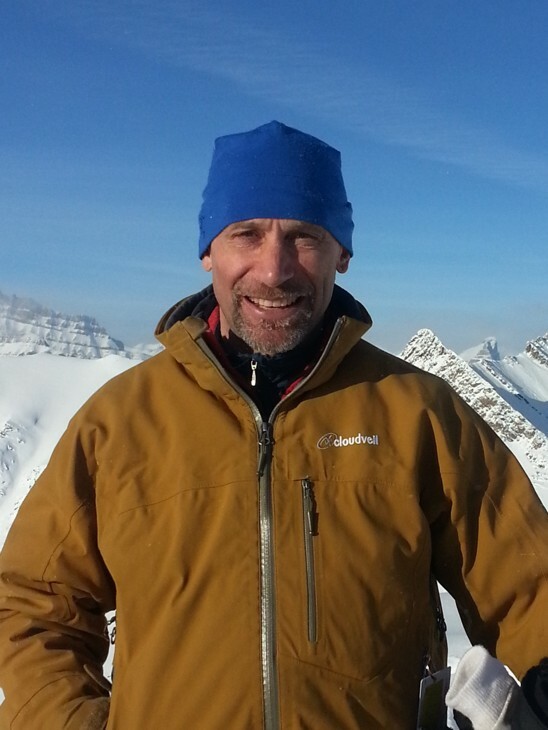 Harper, J. T., N. F. Humphrey (2003), High altitude Himalayan climate inferred from glacial ice flux, Geophys. Res. Lett., 30(14), 1764–1769, doi:10.1029/2003GL017329. Harper, J. T., and J. H. Bradford (2002), Spatial variability of snow stratification in the absence of terrain factors, in International Snow Science Workshop, edited by R. Stevens, pp. 1–8, International Snow Science Workshop Canada Inc., Penticton, B.C. Canada. Harper, J. T., N. F. Humphrey, M. C. Greenwood (2002), Basal conditions and glacier motion during the winter/spring transition, Worthington Glacier, Alaska, U.S.A, J. Glaciol., 48(160), 42–50, doi:10.3189/172756502781831629. Marshall, H. P., J. T. Harper, W. T. Pfeffer, and N. F. Humphrey (2002), Depth-varying constitutive properties observed in an isothermal glacier, Geophys. Res. Lett., 29(61), 1–4. Harper, J. T., N. F. Humphrey, W. T. Pfeffer, S. V Huzurbazar, D. B. Bahr, B. C. Welch, and Anonymous (2001), Spatial variability in the flow of a valley glacier: Deformation of a large array of boreholes, J. Geophys. Res., 106(B5), 8547–8562, doi: 10.1029/2000JB900440. Pfeffer, W. T., N. F. Humphrey, B. Amadei, J. T. Harper, and W. J. (2000), In-situ stress tensor measured in an Alaskan glacier, Ann. Glaciol., 31, 229–235. Harper, J. T., N. F. Humphrey, and W. T. Pfeffer (1998a), Crevasse patterns and the strain rate tensor: a high resolution comparison, J. Glaciol., 44(146), 68–76. Jones, L. S., and J. T. Harper (1998), Channel avulsions and related processes, and large-scale sedimentation patterns since 1875, Rio Grande, San Luis Valley, Colorado, Geol. Soc. Am. Bull., 110(3), 411–421. Welch, B. C., W. T. Pfeffer, J. T. Harper, and N. F. Humphrey (1998), Mapping subglacial surfaces below temperate valley glaciers using 3-dimensional radio-echo sounding techniques, J. Glaciol., 44(146), 164–170. Harper, J. T., N. F. Humphrey, W. T. Pfeffer, and B. C. Welch (1996), Short wavelength variations in the horizontal velocity field of a valley glacier, in Glaciers, Ice Sheets and Volcanoes, vol. Special Re, edited by S. C. Colbeck, pp. 41–48, U.S. Army Cold Regions Research and Engineering Laboratory, Hanover, N.H.
Welch, B. C., W. T. Pfeffer, J. T. Harper, and N. F. Humphrey (1996), A maximum glacier-bed surface obtained by radio-echo sounding, in Glaciers, Ice Sheets and Volcanoes, vol. Special Re, edited by S. C. Colbeck, pp. 105–110, U.S. Army Cold Regions Research and Engineering Laboratory, Hanover, N.H.
Harper, J. T., and N. F. Humphrey (1995), Borehole video analysis of a temperate glacier’s englacial and subglacial structure; implications for glacier flow models, Geology, 23(10), 901–904. Harper, J. T. (1993), Glacier terminus fluctuations on Mount Baker, Washington, U.S.A., 1940-1990, and climatic variations, Arct. Alp. Res., 25(4), 332–340.